The planet Pern seemed a paradise to its new colonists—seeking to return to an agrarian-based simpler way of life, Admiral Paul Benden, Governor Emily Boll and the rest of the colonists had selected Pern as a place to leave their recent wars and troubles behind. Shortly after arriving on the planet, however, a new threat appeared – Thread. With time running out and the colony's destruction imminent, geneticist Kitti Ping Yung and her granddaughter Wind Blossom set out to bio-engineer Pernese lifeforms that appear to instinctively react to the Thread – the dragonets that colonists have adopted as pets. In order to ensure the survival of the newly designed species, as well as reduce the possible threat they may have to the colonists by going rogue, they are created with an ability to bond with humans. 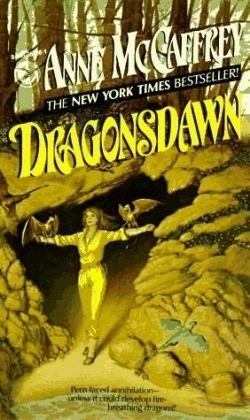 By the end of the book, Sorka Hanrahan and Sean Connell and a few other young colonists become the first of the dragonriders.